I am a member of Jikabuki Tourism Office in Gifu. 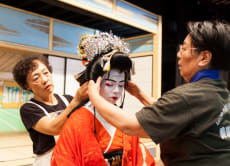 Jikabuki is an amateur form of kabuki theater that has been performed in rural parts of Japan since the Edo era. 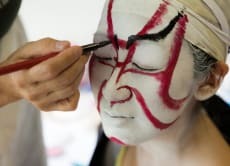 The Jikabuki in Gifu prefecture is the most vigorous in all Japan, with 29 preservation groups, the largest number in Japan, engaging in activities. We are planning some Jikabuki special programs at famous sightseeing spots in Gifu. Please enjoy the atmosphere of Jikabuki that has been loved by people since ancient days.